This is a summary of J.D. 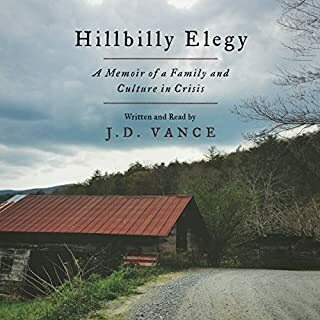 Vance's Hillbilly Elegy: A Memoir of a Family and Culture in Crisis. 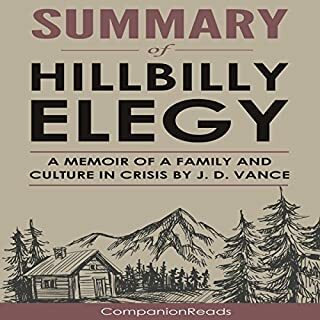 Hillbilly Elegy: A Memoir of a Family and Culture in Crisis by J. D. Vance is an account of the struggles of white working-class Americans in the post-industrial United States. 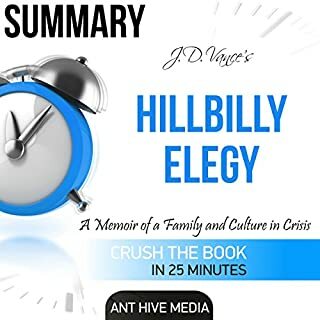 The author offers a message of hope by telling the story of how he went from growing up poor in Ohio's Rust Belt to graduating from Yale Law School. Alexander explains that voting is the most basic democratic freedom and right, yet black people throughout US history have been unable to hold or else exercise that right. Furthermore, racial discrimination continues today in a legalized form because once-convicted felons are legally required to explain their background and may be legally refused service or opportunities because of it. A Gentleman in Moscow by Amor Towles is the story of a Russian aristocrat-turned-waiter who lives 32 years of his life under house arrest at the Hotel Metropol in Moscow. Set in post-revolutionary Russia, the novel follows its protagonist, Count Alexander Ilyich Rostov, as he develops new friendships, family, and loves, all while confined within the walls of the Metropol. What's happening in global politics? As if overnight, many Democrats revolted and passionately backed a socialist named Bernie Sanders; the United Kingdom voted to leave the European Union; the vituperative billionaire Donald Trump became the presidential nominee of the Republican party; and a slew of rebellious parties continued to win elections in Switzerland, Norway, Italy, Austria, and Greece. John B. Judis, one of America's most respected political analysts, tells us why we need to learn about the populist movement. Listing of facts, history and conclusions...NOTHING MORE!! Around the world, populist movements are gaining traction among the white working class. Meanwhile, members of the professional elite - journalists, managers, and establishment politicians - are on the outside looking in, left to argue over the reasons. Williams explains that many people have conflated "working class" with "poor" - but the working class is, in fact, the elusive, purportedly disappearing middle class. They often resent the poor and the professionals alike. But they don't resent the truly rich. Great book. Voice actor made it hard to follow. 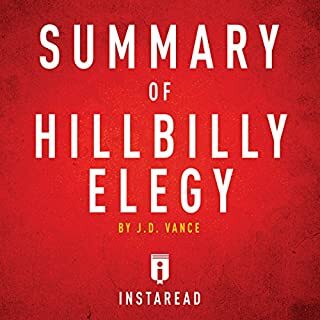 What life is truly like for families of the South, Appalachia, and the Rust Belt. The core of the issues that have plagued working-class whites and "hillbillies" for decades in America. 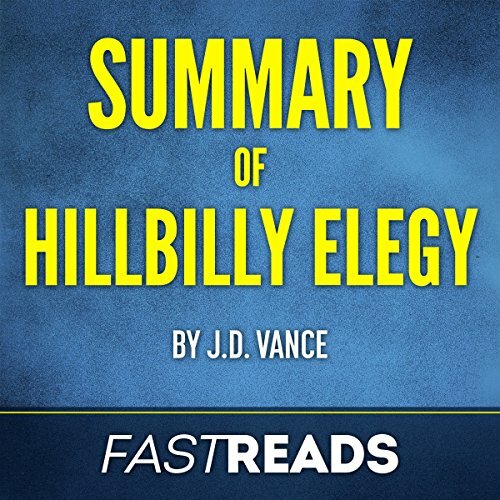 What "Hillbilly culture" truly is and how it has contributed to the stagnation of a large portion of the country. How the psychological effects of adverse childhood experiences continue to affect many of them throughout their entire lives. That it is possible to escape the bonds of your social class no matter where you come from. This is a good recap for those of us who read the book months ago but need to brush up for book group. 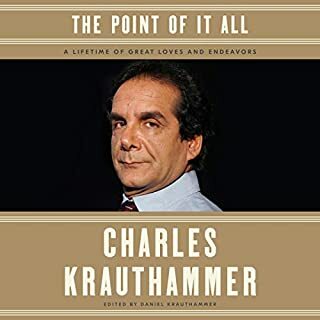 This summary is broken down into six chapters, highlighting one or two stories from the original text, wrapped up with take-away points. 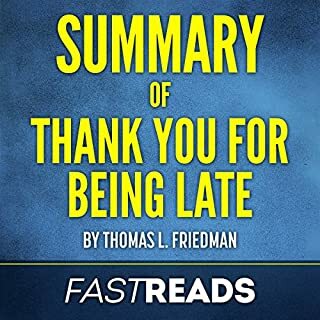 It is a quick review. Not a replacement for the original book by any measure. The reader needed help from a competent producer who did not correct mispronounced words such as "amidst" (pronounced a-mist. Come on! Lazy!) and "albeit." For an author who stresses education the sloppy pronunciation was jarring.